Every year, tonnes of wild plants and animals illegally cross EU borders.Wildlife crime is not just a threat to numerous species, it also undermines the rule of law, good governance, the well-being of local communities, and sustainable development. 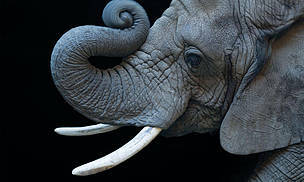 Following the adoption of a European Parliament resolution on wildlife crime and the European Commission consultation on the future EU approach to wildlife trafficking in 2014, on Friday 26 February, the European Commission will present its new Action Plan to fight illegal wildlife trafficking. The EU is both a major destination and a transit point in the global wildlife trade. All EU Member States and the European Union are Parties to the Convention on International Trade in Endangered Species of wild fauna and flora (CITES), the international treaty which regulates global wildlife trade. CITES is implemented in the EU via a set of EU Wildlife Trade Regulations. However, poor implementation of the existing EU regulations on wildlife trade in some Member States leaves EU borders porous to illegal trade activities. The EU Action Plan aims at increasing the effectiveness of the EU policy and actions against wildlife trafficking, in order to reduce wildlife trafficking levels both globally and in the EU. It will establish a strategic framework and propose a range of actions against wildlife trafficking. Preventing wildlife trafficking for example by supporting actions to reduce demand in wildlife products within and outside the EU. Strengthening enforcement and the fight against organised wildlife crime for example by increasing capacity and cooperation among enforcement agencies. Building a global partnership against illegal wildlife trafficking using diplomatic tools and international cooperation. Poaching has reached unprecedented levels for some species in recent years. The considerable profits generated, together with a low risk of detection and low sanction levels, explain why wildlife trafficking has become one of the most profitable transnational criminal activities globally. and – above all – to raise sufficient political will and adequate financial resources in order to address the gravity of the problem. WWF will analyse the Action Plan once published and send recommendations to the Council and the European Parliament. Council conclusions are expected to be adopted at the Environment Council in June 2016. The European Parliament is also expected to adopt a position on the basis of the Commission Action Plan, through an own initiative report.